Two days after a rubbish defeat for the first team, it was up to the A team to save the weekend for Cardiff rugby, and to give some hope to us fans that the future is brighter than the present. A trip to Old Deer Park was the setting, the exiled Welsmen of London the only thing between a Cardiff team and that far off dream of a win. Richard Hodges made a few changes to the team that drew with Nottingham in the wind the week before. 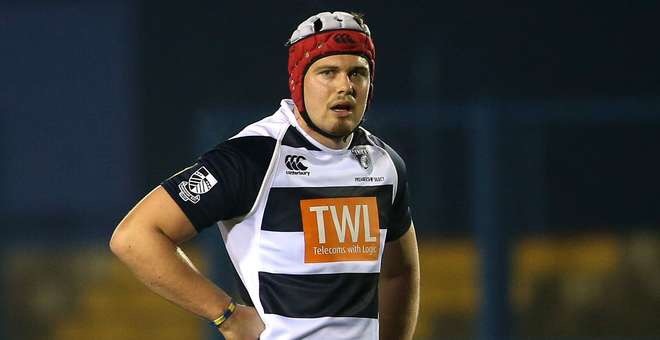 Cardiff RFC’s Joe Tomlinson and Will Rees-Hole started alongside the professional team’s Aled Summerhill and Cam Dolan, who were returning from a ban and injury respectively. Meanwhile, Welsh named a pretty strong side, unlike Notts the week before. The game got off to a dream start for our visiting side as, Cardiff-contracted, Pontypridd winger, Geraint Walsh, crossed after three minutes following a decent midfield break from props Scott Andrews and Thomas Davies. 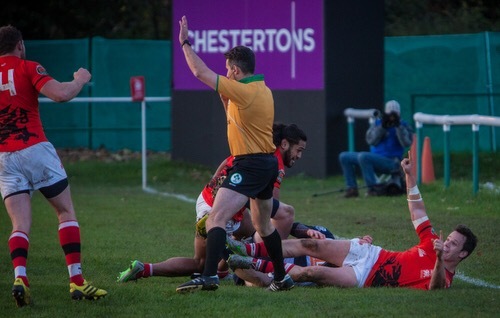 London Welsh responded well, hitting our line hard, but the defence held out and young back Owen Lane almost added to the lead before being stopped in the corner, Gareth Davies instead getting more points on the board with a penalty. It wasn’t until five minutes before the break that the scoreboard was troubled again and the game tightened up, as Josh Davies’ kick put the home side on the front foot, Cardiff conceded a penalty and Davies was on hand to finish the job after a quick tap and go. Olly Barkley converted to make it 7-8 at half-time. The start of the second half was a carbon copy of the first as Cardiff A got off to a flyer, the forwards again providing a platform for Gareth Davies to put a nice chip into the corner, right winger Owen Lane gathering and scoring his first professional try this time. He was at it again a few minutes later as well, the home side spilling the ball while on the attack and Rees-Hole pounced. The Blue and Blacks centre couldn’t go the distance, so handed it off to Lane to pass the final man and double his try total. Davies converted both to put us 15 points to the good, and still we weren’t done! Half way through the second period, and Rees-Hole again the architect of a break as he hit the line at pace before feeding centre partner Garyn Smith this time to get the try bonus point. Another Davies conversion left us sitting pretty at 7-29 up. Then things deteriorated, as Cardiff’s defence stopped bothering. Josh McNally was allowed to waltz through the middle to score, before Koree Britton couldn’t be stopped on the wing. Two scores in five minutes and it was a ten point game. We tried to attack and Gareth Davies put a penalty into the corner, only for the ball to be turned over and Welsh could sense a chance. They worked the ball up the field, first Britton nearly getting his second try, but eventually Eddie Aholelei picked and crossed, Barkley’s conversion putting the home side just three points behind. Cardiff bums were squeaking and it showed, we couldn’t keep our discipline, Barkley put his on our line, and used all his class to put a grubber kick in behind to be pounced on by grateful centre James Lewis. A quite farcical last 20 minutes from Cardiff A, and proof if you ever it was needed, that Danny Wilson’s task is transforming an entire club, rather than just a senior squad. Wilson, along with Richard Hodges, need to be taking a long, hard look at the players who really want to perform for the 80 minutes in blue, and then putting a boot into the backside of those who don’t. Far, far too often, there are periods of a game involving a Cardiff side where we almost entirely stop playing. It is just not acceptable for professional rugby players, and it’s not a great indicator for the future if the A side are just as susceptible to it as the senior team. The next outing for the A team is just before Christmas with a double header against probably the best opposition in the group, Cornish Pirates. It’ll have to be 180 minutes of concentration and top-level play, nothing less will do.